The clamping bolt of the wedge clamping elements is operated by a 24 VDC direct current drive via a snail transmission and a spindle stroke transmission. The self-locking spindle lifting gear stops the actuator in case of power failure and maintains it safely in the reached position. During clamping, the clamping bolt is moved with low inclination onto the straight clamping edge. The clamping bolt is completely retracted in the guide housing in an off-position. 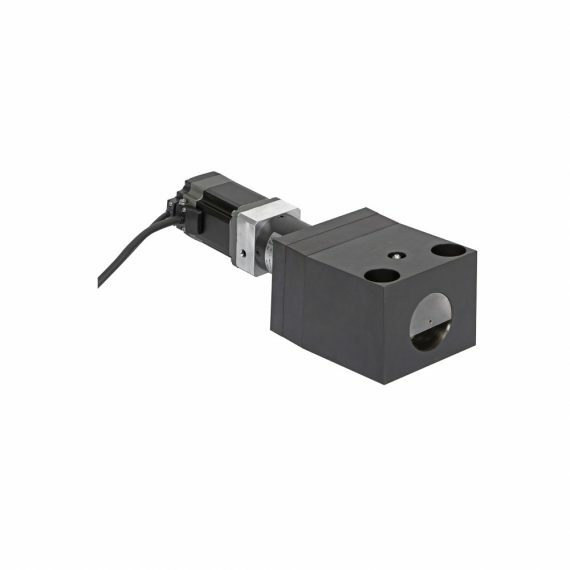 The wedge clamp is equipped with an integrated position monitoring. In addition, fault messages can be output. The wedge clamping element is controlled via a control module equipped with different data interfaces.